RestorationMaster is a trusted provider of disaster restoration and cleaning services for the homes and businesses of Laurel, MS and the surrounding areas. Every technician at RestorationMaster is highly trained and IICRC-certified to provide quality disaster restoration and cleaning services, using state-of-the-art cleaning products and equipment. We are available 24 hours a day at (601)651-4022 to respond to your disaster emergencies in Laurel, MS. Excess water is one of the most common causes of property damage and it can be very costly without the proper reaction. Weather conditions like rain storms and floods can lead to water damage as well as internal issues like burst pipes, leaks, and overflows. Once excess water gets inside, it gets absorbed into various building materials and spreads further into the home or building, increasing the risk of structural damage and mold growth. 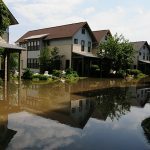 RestorationMaster provides water damage restoration and flood cleanup services in Laurel, MS to remove water and excess moisture from affected homes and businesses. We use advanced extraction and drying equipment to remove the water and we will also clean and disinfect the damaged area. 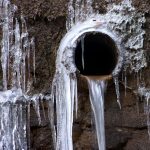 While it is not common, frozen pipes can still occur within many homes and buildings during freezing temperatures. When they freeze, they are prone to causing severe disasters, resulting in hundreds of gallons of standing water throughout the property. As soon as you notice the damage, don’t hesitate to call RestorationMaster for frozen pipe water damage restoration services if you live or work in the Laurel, MS area. Using advanced equipment and methods, our technicians will have the entire area restored to its original condition in no time. We will also work with your insurance company during the claims process to provide additional peace of mind. 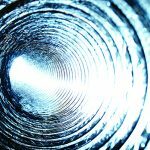 Water damage can surely pose problems for home and business owners, but sewage backups are different. They are dangerous and spread damage to a far greater extent than clean water. But you must never try to clean the mess yourself as it can result in severe illness. Instead, call RestorationMaster for emergency sewage cleanup services if you live or work in the Laurel, MS area. Each of our technicians is trained and has experiences specifically with extracting sewage waste water. From removing soiled porous materials to disinfecting all surfaces, our professionals will have the entire area restored both efficiently and effectively. Don’t hesitate to give us a call during any sewage backup emergency. Dealing with a fire on your property is terrifying when it first occurs, and it leaves behind a devastating amount of damage that requires immediate attention. 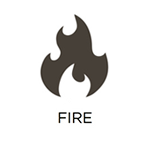 Your first action in a fire should be to evacuate the home or building and call the fire department. Once the fire department extinguishes the fire, you must begin the restoration because much of the damage caused by the fire will continue to spread and make matters worse. 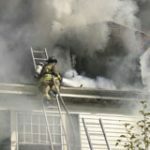 RestorationMaster provides fire and smoke damage restoration services to repair and restore homes and buildings damaged by a fire in Laurel, MS. Our technicians use the best cleaning products available to reverse the effects of soot and corrosive byproducts, and we will help rebuild the structural damage. Mold is a naturally occurring substance that can cause major problems when it appears in a home or building. 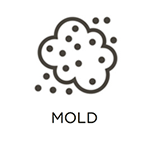 The natural concentration of mold spores in the air forms into mold growth when it encounters an environment with a source of moisture and food. Once the mold colonies start to grow, they feed on the affected surfaces which causes serious damage, and release their spores which spreads the growth and increases the risk of related health effects. RestorationMaster can remove mold colonies from homes and businesses in Laurel, MS with our professional mold remediation services. We will keep the affected area isolated as we work to lower the risk of health effects and prevent its spread to new areas. Most disasters that cause damage in a home include floods, storms, fires, and mold are nearly impossible to contain. This means that when a disaster such as these occurs, your personal belongings are likely to experience damage in addition to the major structural elements and furnishings in your home. Experiencing widespread damage to your personal content is frustrating and many of your items may become damaged permanently if they are not immediately restored. RestorationMaster provides content cleaning and pack-out services in Laurel, MS to clean and restore a range of damaged personal items. Our technicians can take care of your damaged content in your home, or take them to our facility for thorough cleaning with our pack-out services. You never quite know when an impending storm will be strong enough to cause serious damage to your home or building. Many types of storms including thunderstorms, tornadoes, and hurricanes involve heavy rain that can lead to serious flooding that affects entire cities. These storms also consist of strong winds that can damage the exterior of homes and buildings and blow over large, heavy objects. RestorationMaster provides complete storm damage restoration services in Laurel, MS to help homes and businesses recover from damage caused by a major storm. We can help mitigate water damage caused by flooding and repair structural damage cause by wind and fallen objects. 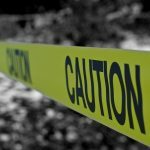 The average person does not often experience the effects of a major accident or violent crime, but these are everyday occurrences in the U.S. It is very important to understand the potential danger of these situations and know how to react if such a tragedy happens on your property. The scene of a major injury or death often involves biohazard materials such blood and bodily fluids that are extremely dangerous. You must stay clear of any biohazard materials, call 911 immediately, and contact a certified professional that can clean up biohazard materials from your property. 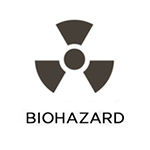 RestorationMaster provides biohazard cleaning services in Laurel, MS to safely clean and disinfect scenes that involve biohazard materials. Our technicians can remove and dispose of all types of biohazard materials and ensure that the scene is thoroughly cleaned and disinfected. 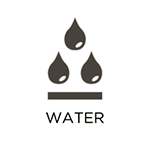 While water extraction and reconstruction services are essential in the restoration of property structures, all moisture must be eliminated from the air to prevent additional damage during the drying process. If any of your ceilings, flooring, carpets, drywall, or any other building materials are wet due to high moisture levels, call RestorationMaster for complete dehumidification services in the Laurel, MS area. Available to serve both residential and commercial properties, our technicians use detection meters and moisture probes to address the areas affected, set up commercial-grade dehumidifiers, and monitor the temperature, moisture levels, and vapor pressure to ensure the most efficient drying process. Don’t hesitate to give us a call if you see high amounts of condensation, significant water damage, or feel high levels of humidity or moisture within your home or building. Discovering your business building in an unstable condition after sustaining severe destruction from a natural disaster cannot only be overwhelming, but deeply traumatic. But it is within these first moments that make calling for emergency services the most crucial. Don’t hesitate to contact RestorationMaster for commercial restoration and catastrophe response services in the Laurel, MS area. Our technicians have years of experience and training to handle commercial buildings of all sizes, restoring them to their original conditions as efficiently and effectively as possible. We also handle buildings of all types, including office buildings, manufacturing facilities, schools and universities, and more! Don’t hesitate to give us a call and we will arrive to your property within 2 hours. For all disaster restoration emergencies, RestorationMaster is available in the Laurel, MS area at (601)651-4022 to help homes and businesses fully recover from the unexpected.